Eye witnesses can misremember things and/or misidentify people – In fact, as the Innocence Project reports, eye witness testimony is the single biggest contributing factor in wrongful convictions in the U.S., playing a role in more than 70 percent of all criminal convictions that are ultimately overturned by DNA evidence. Various elements of the alleged crime and its aftermath can end up impacting the reliability of eye witness testimony. 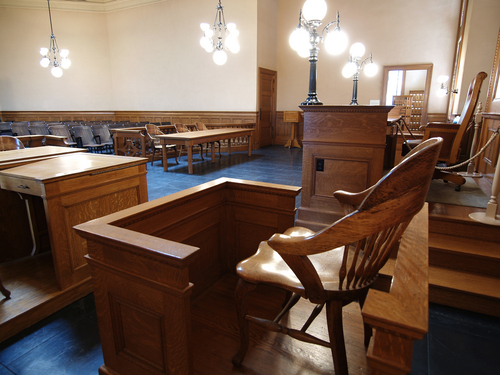 Pinpointing the problems with eye witness testimony for the prosecution can be a powerful defense strategy. In this blog series, we will take a closer look at just some of the issues and factors that can contribute to unreliable eye witness testimony. If, however, defending yourself against criminal charges is your primary concern, contact the experienced Broomfield and Boulder criminal defense attorneys at the Peter Loyd Weber & Associates for the best possible defense. Eye witness testimony, although powerful, may not always be accurate or reliable. Here’s why. Contact us when you need the best defense against criminal charges. Where eye witnesses were and how they observed an alleged crime taking place can play a critical role in what witnesses see – and, more specifically, the details they may or may not actually observe. For instance, eye witness testimony from witnesses who were feet away from an alleged crime will probably be more detailed and reliable than testimony from witnesses who were hundreds of feet away from the incident. The witness has vision impairments that require him or her to wear glasses or contacts. There were large objects between the witness and the alleged crime, potentially obscuring a person’s vision. The eye witness was engaged in other activities at the same time as (s)he allegedly saw a crime occur. Multiple suspects can increase witnesses’ stress in these situations, making it far more likely that they will misremember things. When multiple suspects are alleged involved in a crime, it can be easier for eye witnesses to confuse personal details for each of the alleged suspects. Have you or a loved one been charged with a misdemeanor or felony crime? If so, the Broomfield and Boulder criminal defense attorneys at the Peter Loyd Weber & Associates are ready to immediately start defending you.